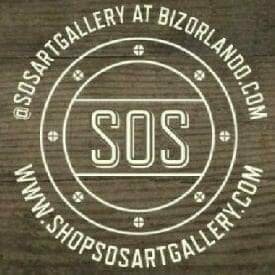 @SOSARTGALLERY: Artisan Handcrafted Cards, Gifts and Artwork Sold Globally exclusively through events and online at www.ShopSOSArtGallery.com » Born into a family of creatives, but reborn through a rediscovery of the arts, @SOSArtGallery at www.BizOrlando.com has become more than self-actualization for Founding Artist Kathryn McHenry -- transforming into a legacy of collaborative partnerships with local artisans and the community. Each handmade card, gift and piece of artwork is handcrafted through passion for a deeper purpose » GET CONNECTED at www.BizOrlando.com (formerly www.SmallBizOrlando.com) to see what's on the menu -- recently named 2015 Sunshine Blog Award Winner (Business / Money / Marketing / Technology category) -- voted by fans as a Top 10 Florida community blog » SEE WHAT'S IN STORE FOR 2019!!! You still need to GET CONNECTED! Enter your email address to GET CONNECTED to this blog & receive notifications of new posts by email.